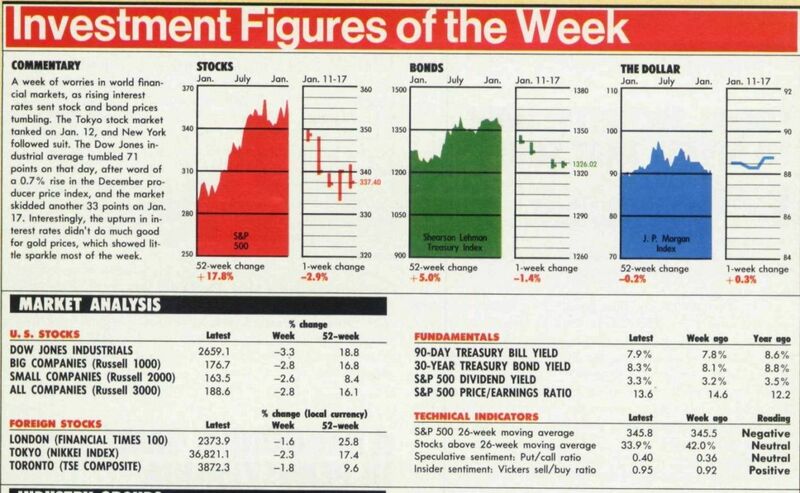 Only 90s kids will remember these, if they happened to be abject dorks who read Businessweek. 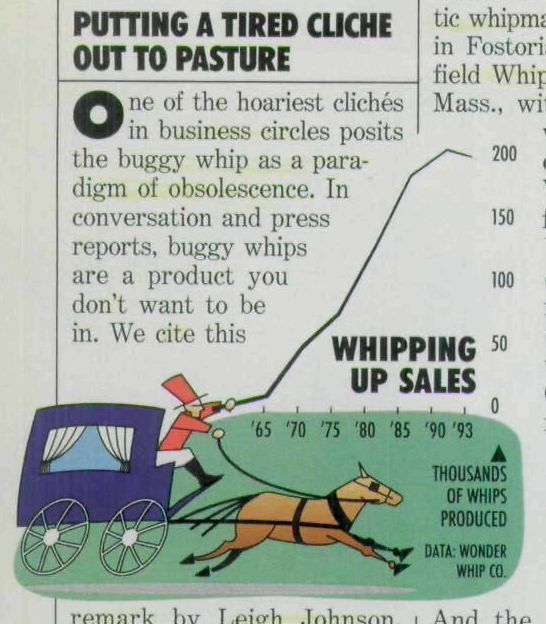 In 1990 came color and its attendant abuses, but if you embrace the “the phrase ‘desktop publishing’ was invented ten minutes ago” of it all it can be genuinely charming to have put a bar chart inside a hole, or made it out of shopping bags, or to have made a buggy whip sales line out of a buggy whip. 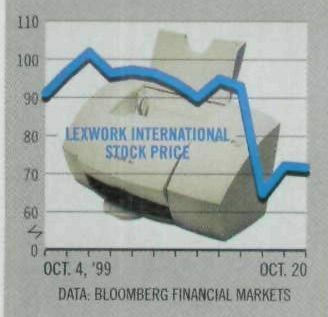 A graph of printer company share price? 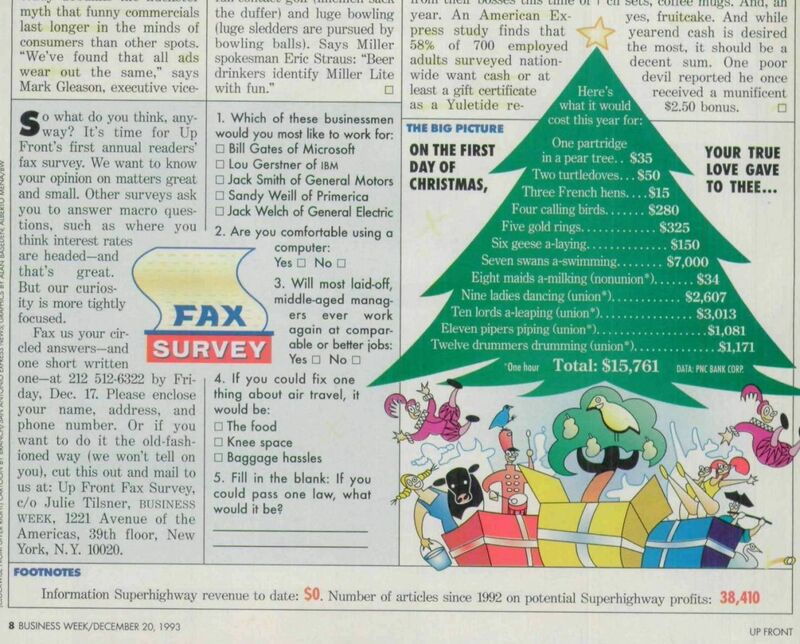 Hell, put a printer behind it! 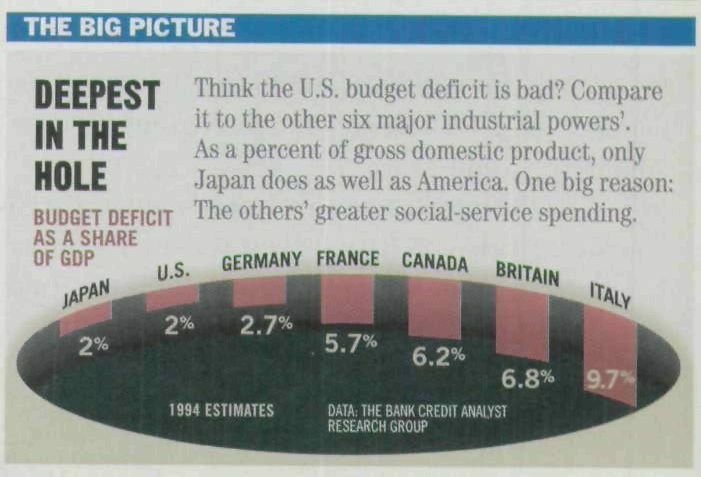 The apt-hedded “Giving up” thing deserves special attention. 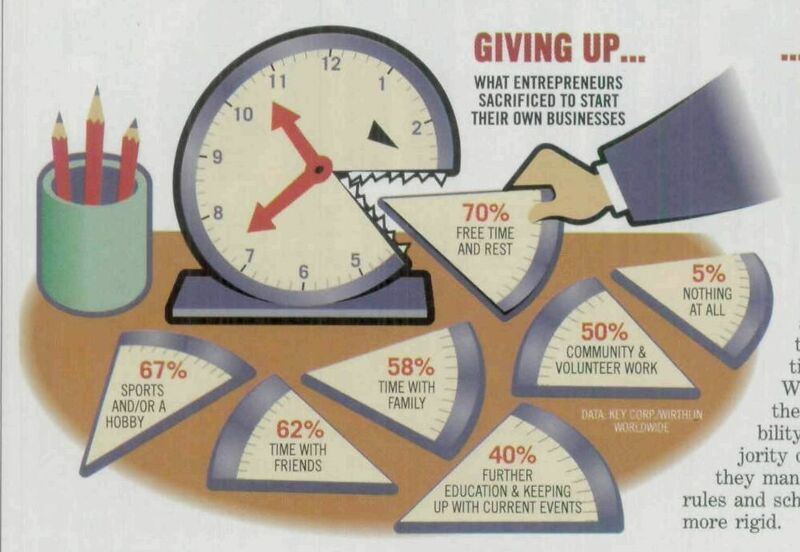 Not only do the slices not add up to a whole, but they’re not even slices of the right thing: the data is proportion of respondents who gave up an activity, not a proportion of any amount of time, which is what clocks traditionally show. Traditionally. 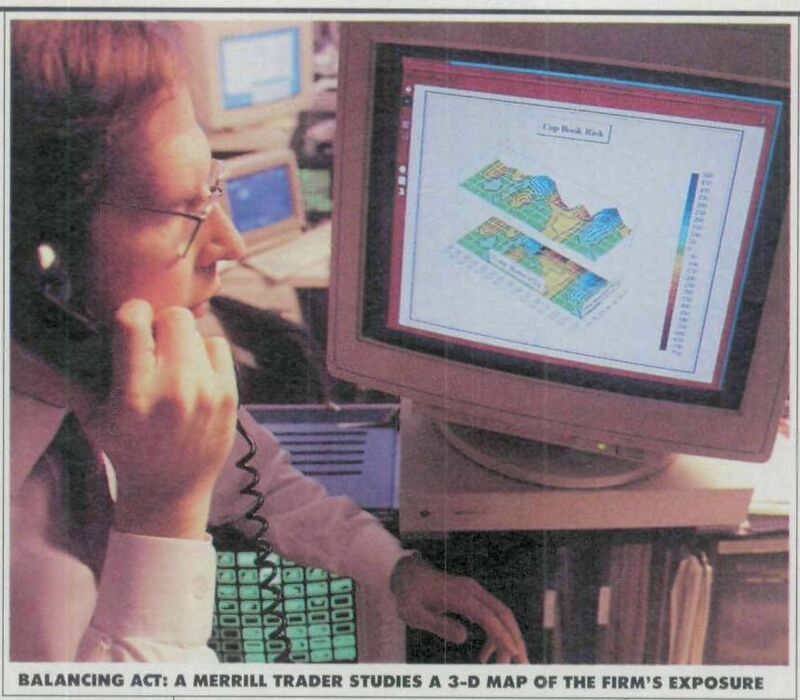 Until the maverick graphics editors of a bygone era stood up to convention. 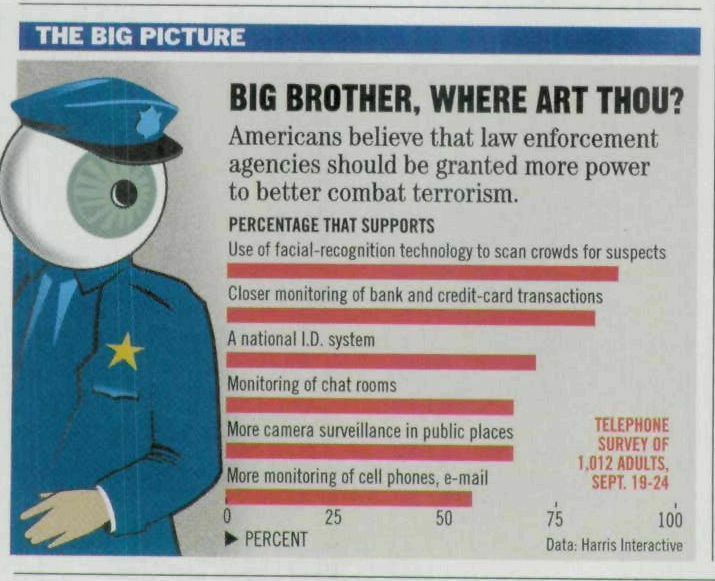 The “Big brother” survey, in which a majority of Americans supported granting law enforcement agencies more power, appeared in the Oct. 22, 2001 issue. 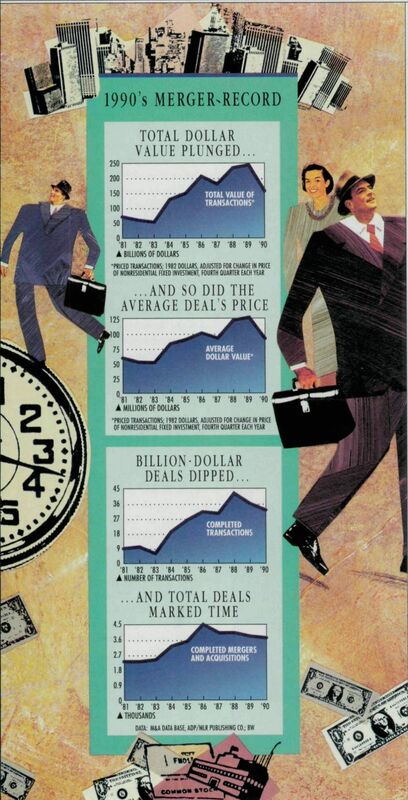 Ha ha we used to be soooo dumb back then! Right! 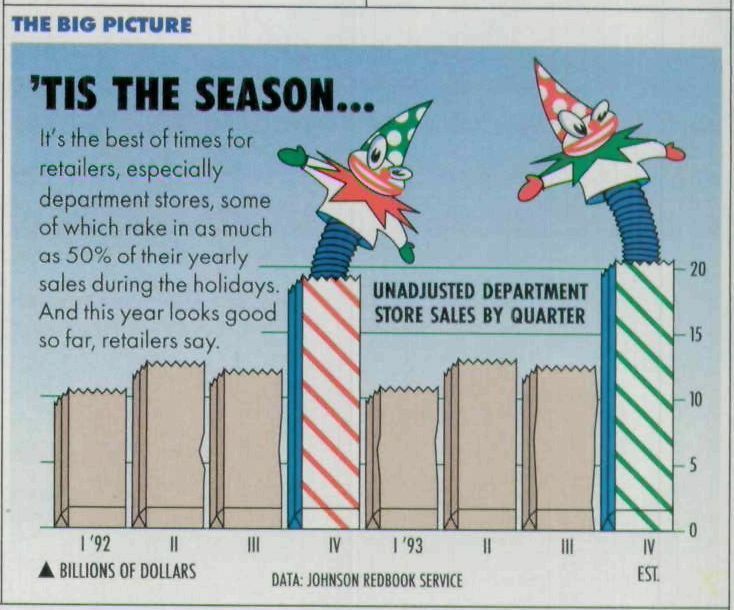 Source: BizWeekGraphics, 1990–2001: Chartjunk, December 16, 2014, http://bizweekgraphics.tumblr.com/post/105369006776/bizweekgraphics-1990-2001-chartjunk-only-90s.